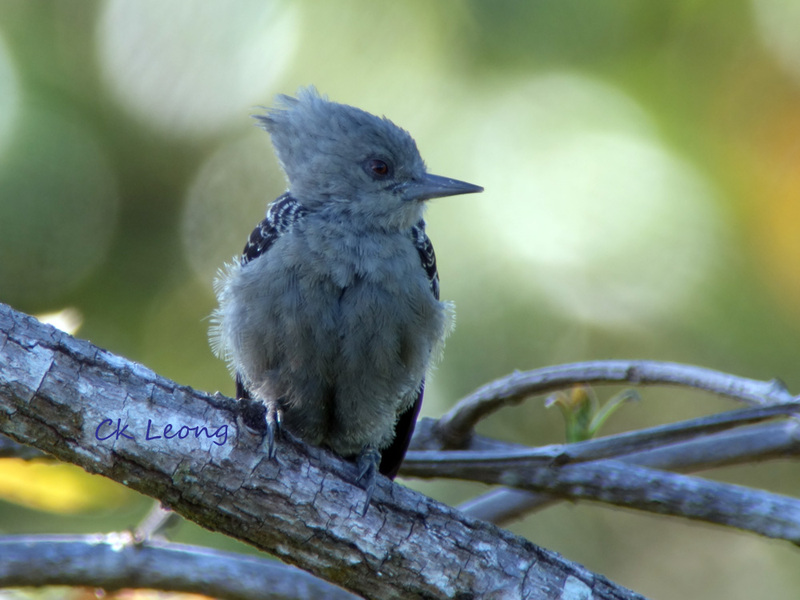 The genus Hemicircus has only 2 species including this wonderful Grey-and-buff Woodpecker H. concretus. The male displays its scarlet triangular crest with great pomp with the female no less respondent in all grey. 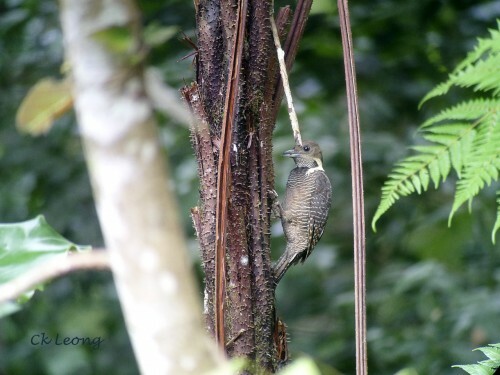 While at Tabin Wildlife Reserve many years ago I observed a pair of them excavating a series of holes on a dead branch. At that time I had never heard of group roosting of these woodpeckers so I thought it was rather smart of this little birds to make some false cavities to fool would be predators. And of course I admired their great industry. 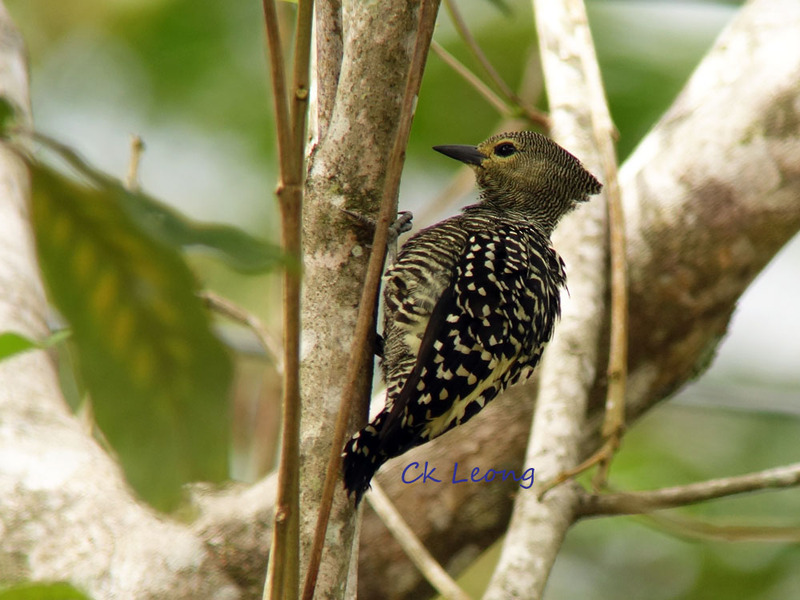 The Buff-rumped Woodpecker Meiglyptes grammithorax is a common bird of the lowland forest. 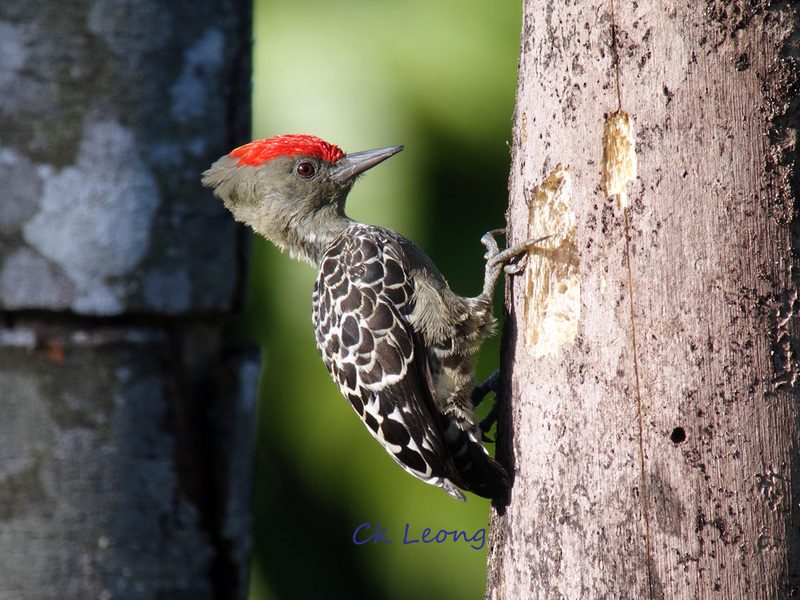 Its behavior is typical of woodpeckers, moving constantly within the mid to upper canopy of the forest. It prefers feeding from the smaller branches, mainly on ants and other insects. The Buff-necked Woodpecker is confined to the lowlands of the Sundaic region and is one of only 3 species in the Meiglyptes genus. Although fairly common, habitat loss has caused it to be classified as near-threatened. Sexes differ, with the female lacking a red malar stripe. 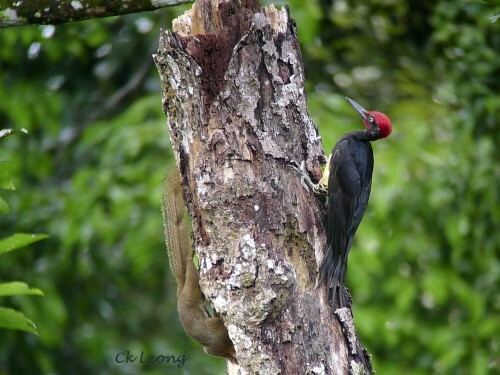 Due the ambiguous status of the Ivory-billed Woodpecker (S.E. United States), the Great Slaty Mulleripicus pulverulentus lays claim to the title of the world’s largest woodpecker. 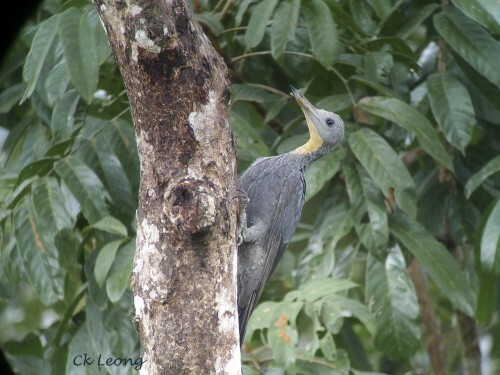 Usually in pairs or family groups, this bird forages in the upper canopy of lowland primary forest and at times in riverine forest. When in flight or moving around tree branches, it utters a loud and bubbly call. Found in S.E. Asia to eastern Himalayas.